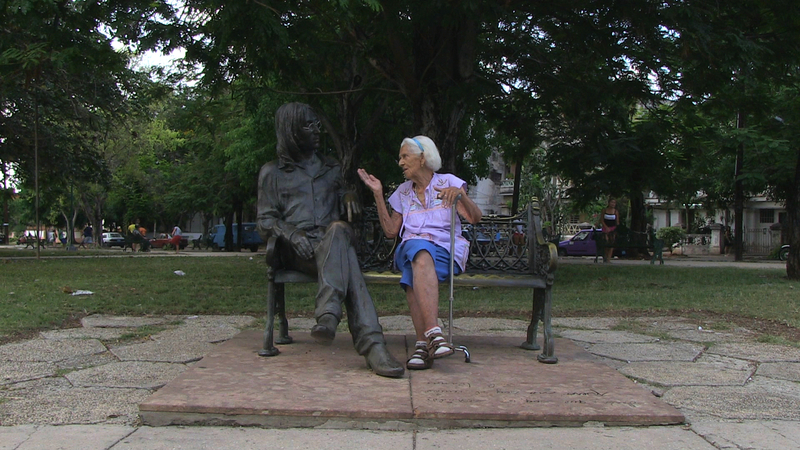 Juan, aged 95 works as a custodian at the John Lennon park in Havana. His job is to put on Lennon’s (famous round) glasses on the statue in the park, visited and photographed by tourists from all over the world. Every day Juan is accompanied by other park ‘residents’. To each and every one of them the statue has its own meaning. 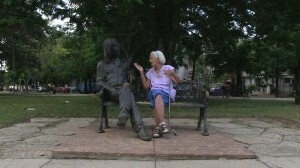 To Ondina, 84, it represents the ideals of the Cuban Revolution, to Rodopho, a veteran, it symbolizes Lennon’s heroism as ‘peace activist’, to Ernesto the statue feels like an old friend and to Juan …… it’s a way to make money and an opportunity to meet women. The statue and conversations evolving by its side, unfold the lives and dreams of these genuine people. It shows how creative and imaginative they are when it comes to dealing with the limitations of life.